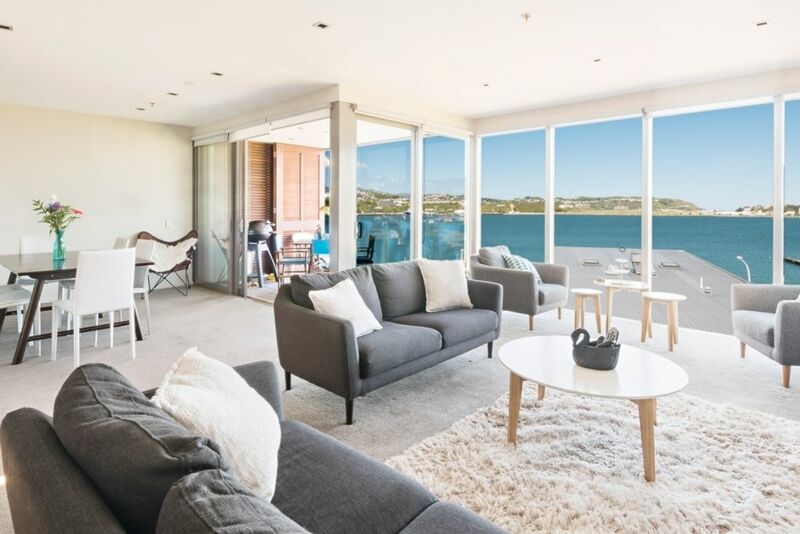 The Penthouse is located close enough to the city (less than 10 mins drive, 4km, $10-15 Uber or public transport outside during the week, all night from Hataitai) to be convenient yet not feel in the thick of it. Evans Bay is a beautiful location on Wellington's coast. Hataitai Beach is a few moments walk away and is a popular swimming and kayaking spot due to its sand and gradual slope. There is a fantastic cafe in the development serving lunches and coffees and several more along the coast in either direction of the house. Hataitai village is also just over the hill for small shops, takeaways etc. Weta Cave and Te Papa Museum are both within 4km for essential sightseeing. As it is only a 5min drive from the airport, Evans Bay is also perfect for people on shorter stays who want to utilise their limited time in Wellington. Bond may be required upon request. Absolutely no parties or small gatherings. Noise to be kept to a minimum at all times in respect of other residents. This property was comfortable and modern. This property was comfortable and modern. I would rent this place again.